92% of teens go online daily, according to the 2015 Pew Report Teens, Social Media, & Technology. 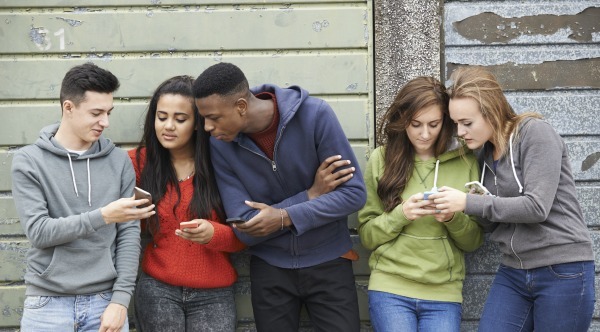 While the number of teens online isn’t surprising, I am somewhat taken aback by the disconnect there seems to be when it comes to understanding our teens and their views of social media. I see so many articles on parenting teens written from a perspective where we should parent more tightly. Or, more alarming, posts where a parent is publicly shaming their teen. These show that, as parents, we are failing miserably when it comes to connecting with our kids. We need to listen to what our kids have to say about social media a bit more so we can better offer boundaries and guidance with love and grace. Think back to when you were in high school. It’s probably easy to recall the popular hangout spot for you and your friends. I was a teen in the late 80’s; for my friends, it was the mall or the movies. High school sporting events were also huge hangouts. Our parents might have dropped us off at the mall or at the movie theater; but they gave us our space with friends. They monitored while giving us a place to interact with our peers. Many malls no longer allow groups of teenagers to gather. The same holds true for many other venues. Like it or not, changes in our world have made this the case. At the same time, social media has given teens a place to gather. It’s now become their popular hangout spot. As parents, we need to recognize this. We can and should monitor, but we can give our teens space with their friends without always inserting ourselves into that space. What you say about us openly matters deeply to us. Social media is the popular hangout spot for teens. It’s a large public forum. Teens worry about public embarrassment or rumors that might hurt or ruin their reputation. As parents, we need to understand this. Issues we have within our family should not be taken up in the public forum of social media. Our teens are connecting with their friends via messaging apps, Snapchat, Instagram, and a variety of other media, all the time. They aren’t missing a moment because they are connecting; they are often sharing and connecting through the moment. There are times this might not be the case, but don’t make the broad assumption they are missing out on a moment when, in fact, they might very well be enjoying that moment with those around them by capturing it. We need you to model what you ask of us. Device down time is needed for everyone. It’s so tempting to share the latest news and often miss that we’re sharing rumors, misinformation, or gossip. Our teens need us to model the highest level of digital citizenship to them. It’s confusing when we ask them to follow rules we don’t follow ourselves. They aren’t “our friends online,” they are our friends. 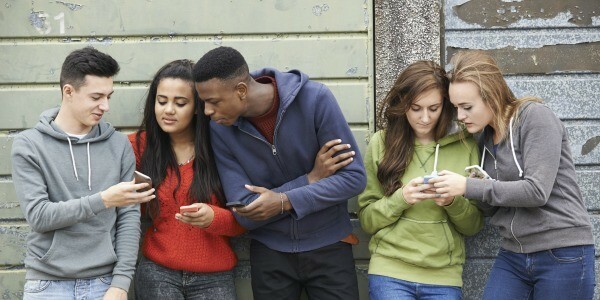 Our teens are connecting with their friends through social media. Those relationships aren’t less real and or have less value because they “talk” via Snapchat. 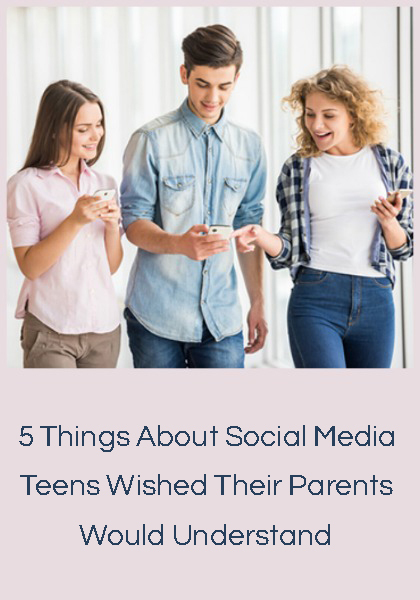 In fact, teens are connecting more because they have the ability to stay in touch instantly as opposed to meeting once a week at the mall. Going to the same school as someone doesn’t mean teens have time to talk at length classmates. Teens want us to value their friendships, regardless of location. Isn’t it great that social media gives us the ability to do so as parents? Don’t miss the opportunity! Great points. I’m sure we’ll be heading into this territory real soon! Thanks for your insight. I agree computers & phones have changed our lives. I always say just use the tool in the right way. Anything can be used for good or bad. What a great article, Leah. It is hard to view social media through the same lens as teenagers, because they’ve never known a world without it. As parents, teachers, and adults, we have to be compassionate and understanding about the differences in our digital society. Thank you for providing a voice for that. Great writing!